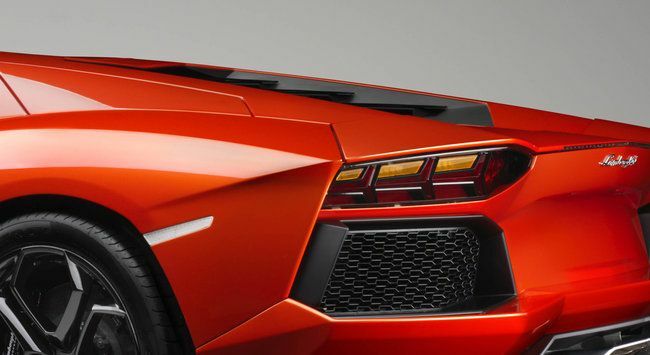 There has been speculation in quantities around Lamborghini's products in the future. Especially around the new successor, replacing the Lamborghini Murcielago LP640-4. By the following information, we present more facts and details than ever before narrated. The commercial name of the new successor to be presented at the Geneva Fair in March 2011 is a closely guarded secret, as only two people so far are said to have knowledge of. The technical working title is LB83X. This time it started with a full white paper! To develop a new "top of the line" supercar for Lamborghini, takes place only every ten years. For this reason, it is especially exciting for Automobili Lamborghini, but also for us as an importer of Lamborghini to Sweden, the car will be received by the market. Lamborghini Stockholm and Torbjörn von Braun has been presented and reviewed the two very first pre-production cars and can attest that the objective of Lamborghini - to develop and sell the world's most desirable and accessible supercar, now likely to become reality soon. The market has never before been offered to such a serious advanced super sports car in a price range around three million Swedish kronor! It is during the introduction thus priced nearly 5 million less than worthy competitors' cars in the corresponding segment costs! The new car will be individual to take 50% of Lamborghinifabrikens resources and keep 200 people employed, to which most produce four cars a day on the new produktionslinans 11 workstations! Only 5-7 cars expected to arrive in Stockholm Lamborghini in 2011, which will be allocated to the Swedish, Norwegian and Finnish markets. Lamborghini begins delivering out the first market cars to the dealer immediately after the Geneva Fair in April. Then we can expect to see the first customer deliveries in May, June, July and August. After discussions and review of the car along with Fire & Design Director - Manfred Fitzgerald and R & D Director - Maurizio Reggiani, this is the Lamborghini Stockholm proud that this could be among the first in the world to report a deeper level of detail than any other surrounding Lamborghini's new supercar. The new car is based around an advanced digitally produced monocoque chassis of carbon fiber composite design with patented RTM structural reinforcements. It has a vridmomentskoofficient the entire 32 000 nautical miles per degree as measured by shock absorber mounting. It works with fabrics of both pre-Preger and pre-press version some with a more targeted fiber. Monocoque total weight is 147.5 kg. For this purpose, the Lamborghini has built a brand new carbon composite & Title of 4500 square meters factory in Sant 'Agata Bolognese. The factory is fully climate-controlled 12 months a year and includes two autoclaves, laser cutters for fabrics and laser trimming of the finished, pre-press equipment and CMM - digitally-controlled workstation which allows only a maximum of 1 mm tolerance for the entire car chassis design. The car kolfibermonocoque supplemented by a roof of carbon fiber, and aluminiumsubframes front and rear. Doors, fenders and fronthuv are made of aluminum and other body panels in the composite, while the bumpers are made of a special flexible and contoured composite. Perfection and quality pervades the entire car's design. With the new car takes Lamborghini two steps forward and skip a whole generation of sports cars. It runs from contemporary Italian home-built dinosaurs to the future of extreme super sports cars with the best technology much of which actually comes from Sweden! You have selected Swedish world leading Öhlins as supplier for its pushrodfjädring in true super sports car spirit, which the dampers are visible in the engine compartment and through the back window somhar features taken from the last Super Veloce. 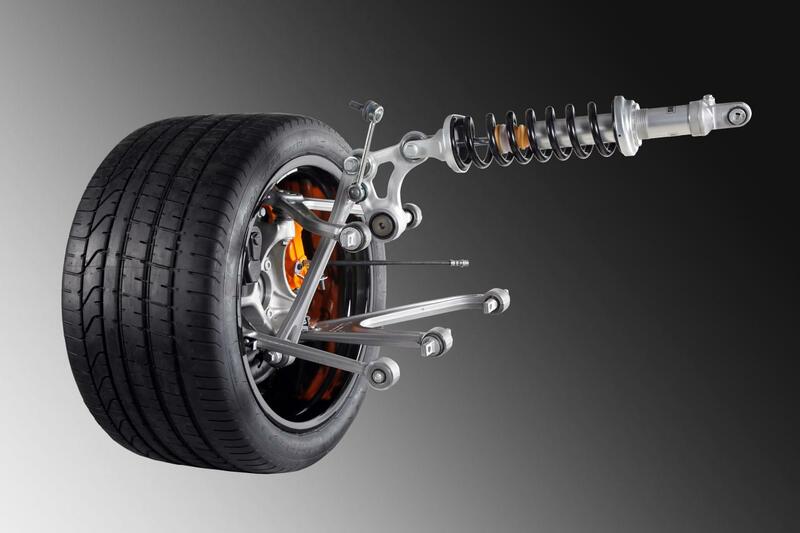 Front suspension is also standard equipped with a "lifting" system and kränghämmare at 81.7 N / mm, which helps to balance out the car's low center role. Swedish Haldex supplies fyrhjulsdrivlinan and Swedish Atlas Copco stands for electrical digital-quality tools to ensure proper torque for each screw in the assembly. Some modern features that we are not accustomed to find in the super sports cars with low weight has been an important part of the objective is "passive pedestrain Protection System", "Keyless Go", 8x airbags including knee airbags, fully self-produced seats with airbag sensors to shut off at the light and small passengers. 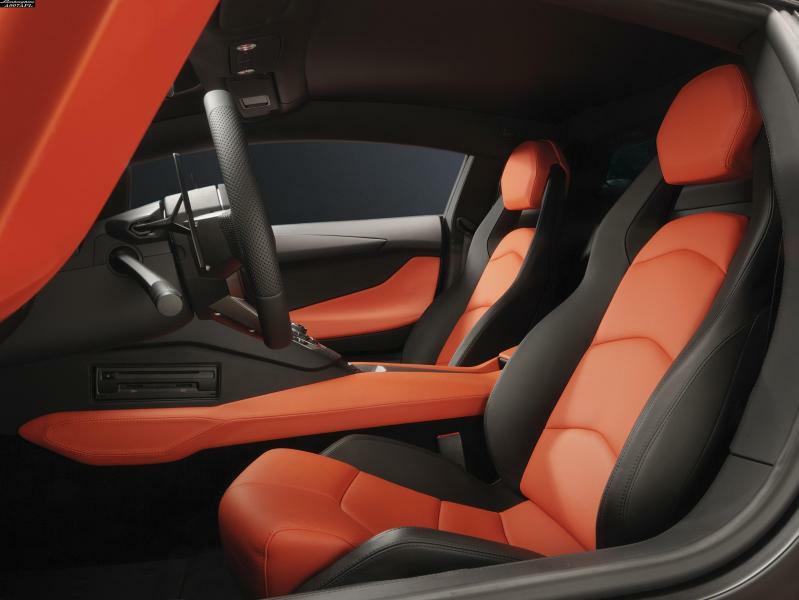 As yet another step in the developed quality awareness as Lamborghini, so have a new supplier of leather contracted. All leather is scanned to detect defects, also less than what the naked eye can see and then use only the flawless lots of skin. 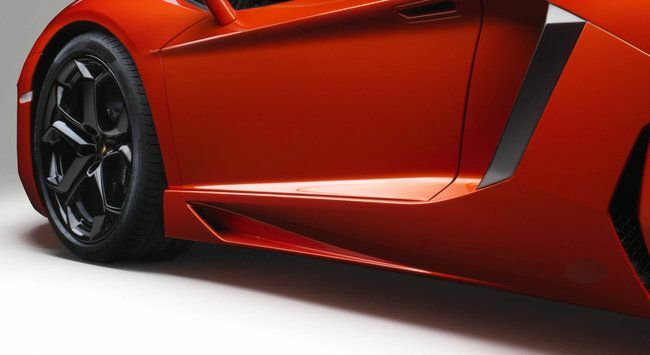 Almost all vehicle manufacture uses A-leather on the outcrops and B leather on the rear, roof and sides, etc.. For the Lamborghini is only AA approved leather regardless of where it should be used, which usually consists of less than 30% of the whole dermis. For the first time we see a clear design language on a super sports car, which goes all the way outside-in. The classic saxdörrarna is still around. We can see that several soft racial strains are from the 60th century, Lamborghini 350 GT and 450 GT models in front of his nose. At the same time are extreme designs with parables to the concept car Estoque in the rear, but with a much bigger attitude. In profile, the car has a sharp side marker resembling McLaeren F1 sideline. Side-Line has a steep climb back released and runs with a sharp concave folds over the otherwise rounded rear fender. A large air intakes on the side and from above you can see the indented waist of the car in order to optimize drag that has a CWX value of 0.68. Some of the body's lines run all the way from the front of the nose and above the ceiling on to the large folded wing. The ceiling has been raised two batches - one for the driver and the passenger. On closer scrutiny reveals that these soft elevations are marked folds with a clear alignment. Other body lines running from the front, follow all the way into the dashboard and into the center console. The entire interior bears a clear Lamborghini DNA and a unique design language which makes itself felt through the entire car. It could result in everyone in the car with a blindfold and when he sees, he will be able to determine automakers in seconds by the characteristic sharp Y-formation language appearing on consoles, switches and panels. The instrumentation is completely new, with a central digital meter in front of the driver. The center position can be exchanged between the speedometer and rev counter, where you get the secondary data center shown in the smaller shape within the main meter. Most beautiful spots of the car is in our opinion, obliquely from the front, diagonally from behind and from above. 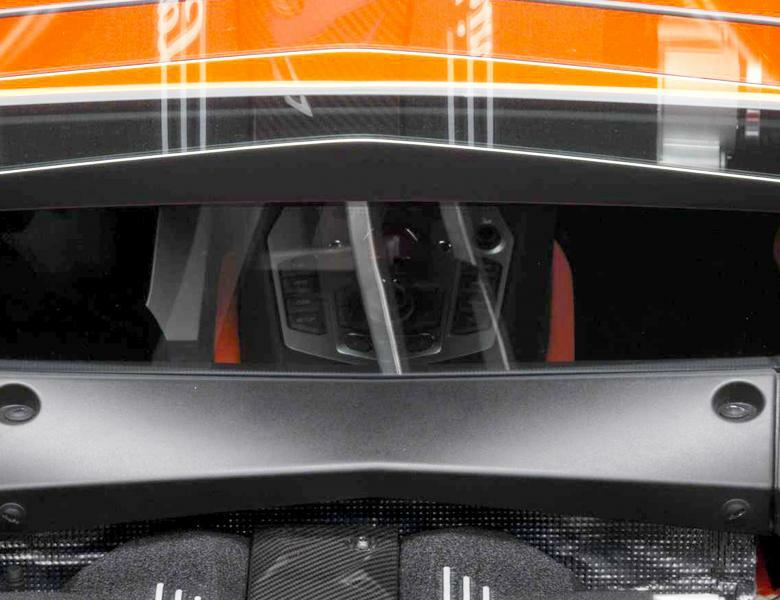 Frontnos respective rear ends of its exhaust outlets are centered in all beauty liberating grotesque, vulgar and a cheeky attitude that will make previous models and most other supercars feel pale! The rear features an integrated wing as it rises, the parables of the two weakly arched wings. The front lamps are of triangular shape but with the cut-off points so that they become pentagonal. Unlike its competitors, so we feel like Lamborghini, happily, not been towards larger sizes and designs, but rather maintained the proportions from the previous model to maintain a genuinely low super sports car character. Price: Displayed around 270 000 euros excluding local taxes and VAT. Corresponding to about 3.1 million crowns to the euro rate of 9.2. The equipment level is high from the beginning and a lot is included as standard, including sequential box, key-less go, lifting systems, ceramic brakes and more. Engine: 6.5 liter 60 ° V12. 700 hp at 8250 rpm. 690 NM at 5,500 rpm. Four valves per cylinder, variable valve timing, four blocks and bolted generally better elasticity. Euro 5, CO2 emissions 398g/km. 17.2 l / 100km. Four-wheel drive and Transmission: Haldex four-wheel drive with seven speed Sequential CFK Triple Cone Syncronized with ISR system consisting of an actuator for each gear shift instead of a double clutch. The exchange rate is at 50 milliseconds with genuine emotional mechanical sequential race feeling the heavy load and a real flexibility in the soft load. 5 Driving Mode variations: Strada, Sport, Corsa, ESP off / on. Wheels: 19 inch front and 20 inches rear. Safety: Pedestrain Protection System, 2-stage airbags, Total 8 pieces included airbag airbags for the knees. 8 to 11 November 2010, presentation in Sant'Agata for selected customers. April 27 to May 8 2011th Dealers and influential journalists invited to the Vallelunga circuit for a test drive. Order Portal of Lamborghini opens in December. "Me dicen el Matador, me andan buscando..."
Autocar and Motortrend take the prototypes for a spin. 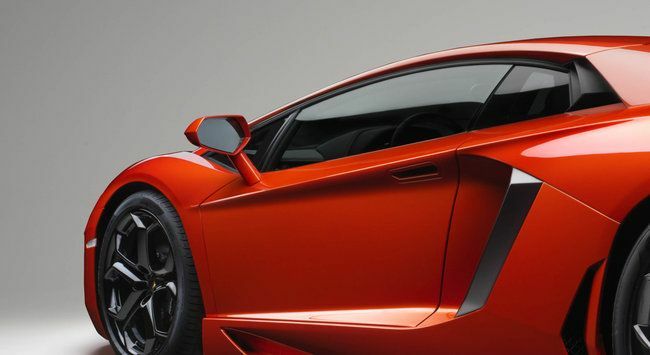 I believe it will be called the Aventador, and will have a new type of gearbox that should be almost as fast as a dual clutch, but lighter, and does not take away the feel of gear shifts like DCT. * Chassis: "Stiffness and lightness are the words to remember," said Winkelmann, and the company has planted its flag on the battleground known as "power-to-weight." The body-in-white is 229 kilograms, torsional stiffness is 35,000 Newton-Meters/degree and it has been homologated worldwide already. The entire monocoque cell is carbon fiber – the tub is a Lamborghini-developed process patented by the company as RTM (Resin Transfer Molded) Lambo, a slightly different process than standard RTM, the A- and B-Pillars and rocker panels are braided carbon fiber, and the roof is prepreg carbon fiber. The RTM Lambo process has been developed in conjunction with its work with Boeing and the University of Washington. * Engine: The new 6.5-liter V12 has 18 percent more power but emits 20 percent less CO2 – 398 g/km – than the 6.5-liter V12 in the now-discontinued Murciélago. It develops 700 horsepower at 8,450 rpm and 509 pound-feet at 5,500 rpm; although displacement is the same, the bore and stroke have been changed to provide better acceleration and smoother, more elastic power delivery in stop-and-go traffic. * Transmission: The 834 uses a seven-speed, single-clutch transmission developed and patented by Lamborghini as ISR (Independent Shifting Rod) and built by Graziano. A single clutch was chosen because it is 20 kilograms lighter than a dual clutch and, said Reggiani, "You have to have the drop in torque so you feel like you're shifting, to give the emotion." There will be five shift modes: Auto, Auto Strada ('strada' being for comfort), Strada, Sport and Corsa. The gearbox's syncros can disengage one gear as they're engaging the next, so shift times in Corsa will be 50 milliseconds (Formula 1 is about 40 ms), 150 ms in Sport, and 300 ms in Auto Strada. * Suspension: According to Lamborghini, the 834 will mark the first time a pushrod suspension with horizontal dampers appears on a production car. The setup will keep the wheel in perfect alignment throughout the range of suspension travel. * Brakes: There will be 400 mm carbon discs up front, 380 mm in back, and it will have an electronic parking brake. * Interior: There will, of course, be improved roominess all around, the driving position is now dead ahead and not skewed to the right, and the dash cluster is a single, large TFT screen. 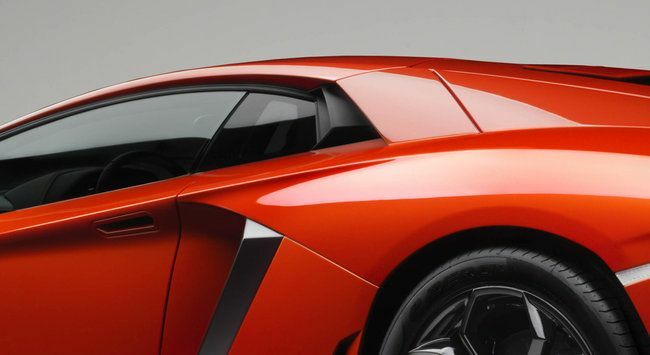 One final note: Communications director Raffaello Porro confirmed that the company is still debating making both the Sesto Elemento and the Estoque. The Estoque is the natural way for the brand to grow (not an SUV), but if the Sesto Elemento is made it won't be homologated. A decision on both is expected in the first quarter of this year. While attending the 2011 Detroit Auto Show, we took a moment to stop by the Lamborghini display to have a word with Lamborghini CEO Stephan Winkelmann and head of R&D Maurizio Reggiani. At that time, we learned the Lamborghini 834, the Murciélago replacement otherwise known as the Aventador (probably), would have a new suspension system. 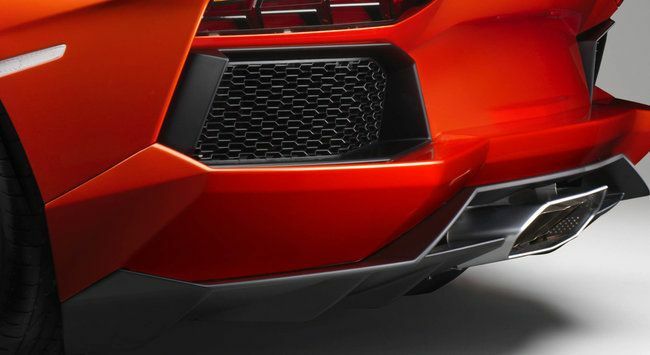 Lamborghini revealed that its next supercar would have a pushrod suspension with horizontal dampers – the first time such a system will appear on a production car, according to the automaker. The setup will keep the wheel in perfect alignment throughout the range of suspension travel and a high-end set of Ohlins shocks should keep the tire on the pavement. Now, Lamborghini has release the first set of images showing off its new suspenders, along with a press release (find it after the break) with a slew of technical details explaining why the new design is superior to others. 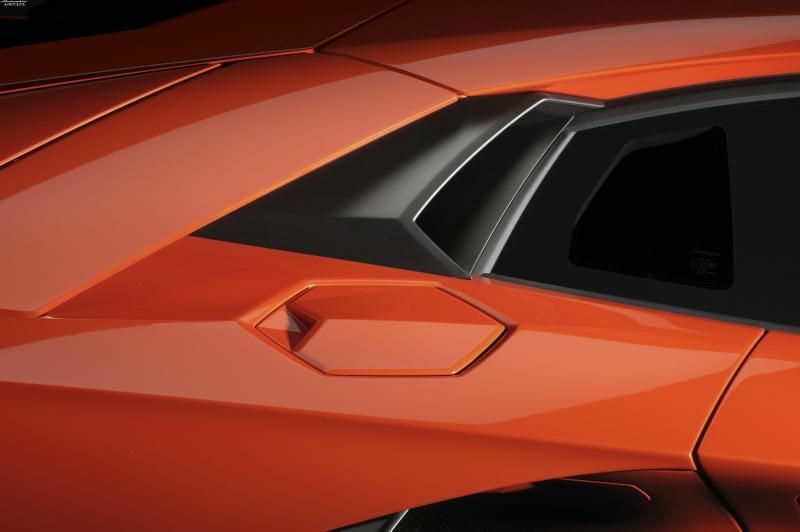 See for yourself in the image gallery below, and hold tight until the official unveiling of Lambo's next great supercar at the Geneva Motor Show. Lamborghini is going to great lengths to reveal the technical details of its successor to the Murcielago supercar, the upcoming Aventador LP700-4. Already we’ve seen details about its new V-12 engine and Independent Shifting Rod (ISR) automated manual gearbox, its F1-inspired pushrod suspension and now, just a few weeks out from the car’s 2011 Geneva Motor Show debut, we have details on its carbon fiber composite monocoque. The LP700-4 promises to be a technology-driven supercar, and one standout feature is its extensive use of carbon fiber in its construction. In fact, the central structure of the car is made entirely from carbon fiber and has been designed as a monocoque. This load-bearing structure of the vehicle is engineered as a “single shell” that functions physically as one component, thus taking full advantage of the extreme rigidity of carbon fiber. Formula 1 race cars have been built using this technique for many years--and have proven their crash worthiness time and again. Not only is this design very safe, it’s also very light. In this case, the LP700-4’s monocoque weighs in at just 324 pounds. The monocoque is connected at the front and rear with rigid aluminum sub-frames, on which the suspension, engine and transmission are mounted. The entire body-in-white (the body with no moving parts, trim, powertrain or chassis components) of the new V-12 supercar weighs only 505 pounds and boasts a torsional rigidity of 35,000 Newton meters per degree of twist. Lamborghini is also boasting about developing its carbon fiber components completely in-house. The automaker uses three main techniques for manufacturing the lightweight components: Resin Transfer Molding (RTM), Prepreg and Braiding. For more details on these processes, hit the next page for Lamborghini’s official explanation. Resin Transfer Molding (RTM): In this process the carbon fiber mats are preformed and impregnated with an exact amount of resin. Afterwards, they are cured under heat while the part is in the mold. Lamborghini has achieved a major breakthrough by further developmening this method. Using the patented “RTM-Lambo” process, the final mold is no longer a heavy, complex metal piece, but is made instead from lightweight carbon-fiber parts, thus making the manufacturing process faster, more flexible and more efficient. Prepreg: The carbon fiber mats used in this method, commonly known as prepreg, are pre-injected by the supplier with a thermosetting liquid resin and must be stored at a low temperature. The mats are then laminated in molds and cured under heat and pressure in an autoclave. Prepreg components are complex to make, but have an extremely high-quality surface finish (Class-A surface quality) and are therefore the preferred option for use in visible locations. Braiding: These components are manufactured by using RTM technology. This carbon fiber weave technology is derived from the textile industry and used to make tubular components for special applications such as structural roof pillars and rocker panels. The woven components are made by diagonally interweaving the fiber in several layers. The monocoque of the new V12 super sports car is constructed using these technologies applied in a series of special processes. One significant advancement Lamborghini realized is the ability to use already-assembled monocoque elements as the mold for the next step in the process. This makes for a considerable simplification of the manufacturing process compared with conventional methods.